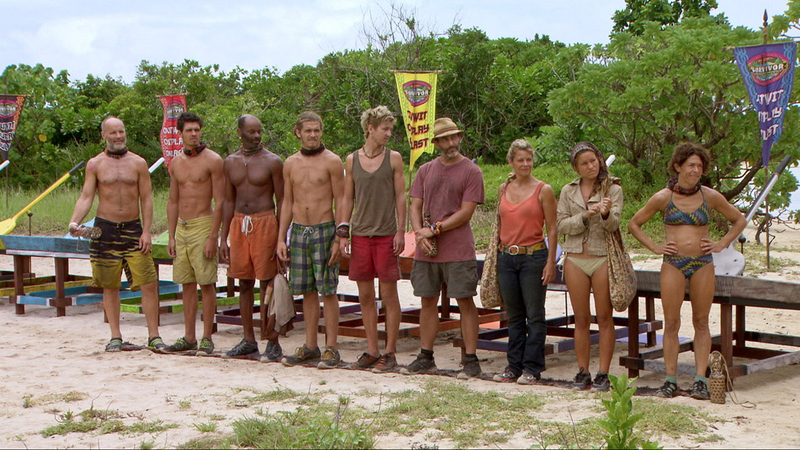 Michael Skupin, Peter "Pete" Yurkowski, Artis Silvester, Malcolm Freberg, Carter Williams, Jonathan Penner, Lisa Whelchel, Abi-Maria Gomes and Denise Stapley line up before the Immunity Challenge during the ninth episode of Survivor: Philippines. #Survivor. Photo: Screen Grab/CBS© 2012 CBS Broadcasting Inc. All Rights Reserved.